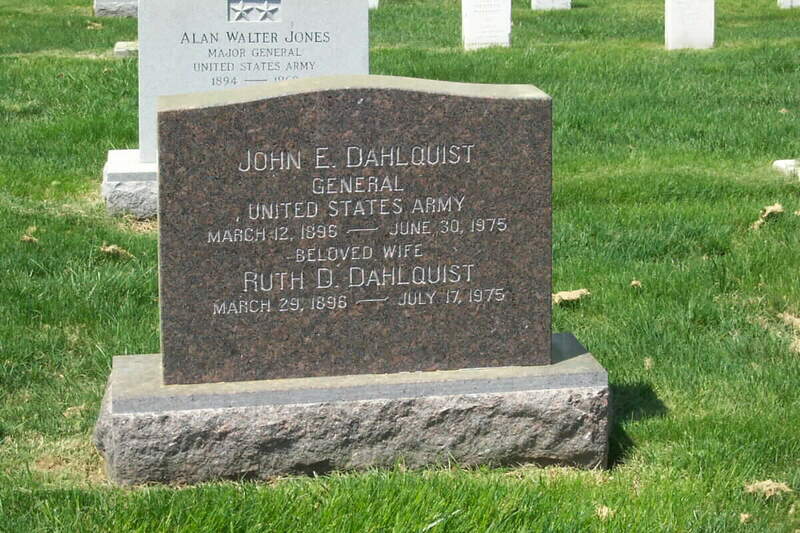 General John E. Dahlquist, the first commander of the 70th Infantry Division, died June 30, 1975 and was buried in Arlington Cemetery. Energetic, unassuming General Dahlquist took charge of the 36th just before the Southern France invasion, spirited it through that highly successful venture and the spectacular drive that followed, and carried T-Patchers to final victory nine months later deep in the Austrian Tyrol. From Minneapolis and the University of Minnesota, as a young Lieutenant he joined the Occupation Forces in Germany after World War I. Later he had a tour of duty in the Philippines and before the shadow of World War II appeared he became a qualified air observer. 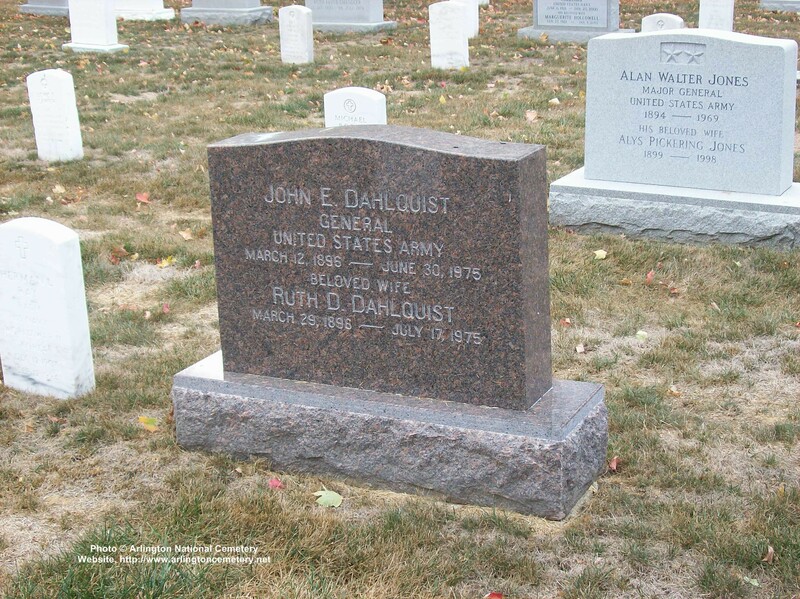 In July, 1942, General Dahlquist was appointed Deputy Chief of Staff to General Eisenhower in England. 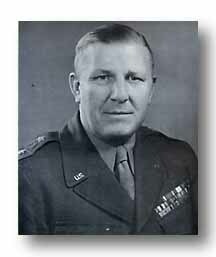 Tireless in battle, the General roved from point-to-point to spur on his front line units, once saw his aide, Captain Wells Lewis, killed beside him while leading the attack to relieve the "Lost Battalion" in the Vosges Forests. He determined the Division role which carried it over hitherto impregnable St. Marie Pass. 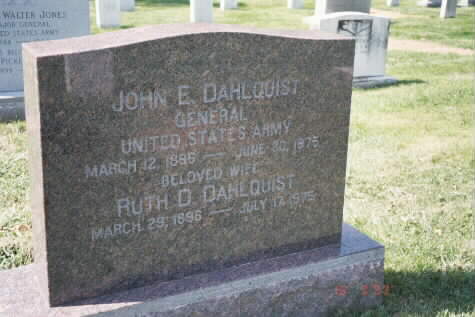 Soon after V-J Day General Dahlquist was called to assignment with the Secretary of War's Personnel Board in Washington.